How Dose This Happen? You have to be kidding me! Rock was for the most part, shut out of the 2019 Grammy awards show! Not only the awards show! Only one of the categories with rock band nominations was presented during the PRE SHOW. The Red Hot Chili Peppers were the only rock band featured on the Big Stage TV Program. Guns N’ Roses’ was passed over for “Weird Al” Yankovic in the best box set category? The Eric Clapton documentary Life in 12 Bars lost to a Quincy Jones documentary? 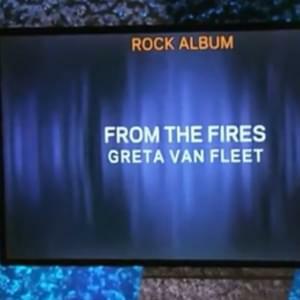 Greta Van Fleet did pick up the best rock album earlier in the day, but they played AC/DC’s “Back in Black” after the announcement was made. I’m glad they didn’t show up! This would have been an embarrassment. Check It Out!